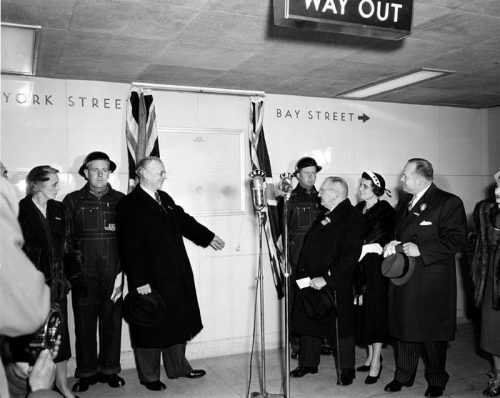 Ontario Premier Leslie Frost and Toronto Mayor Allan Lamport pull switch to change signal and open the subway. 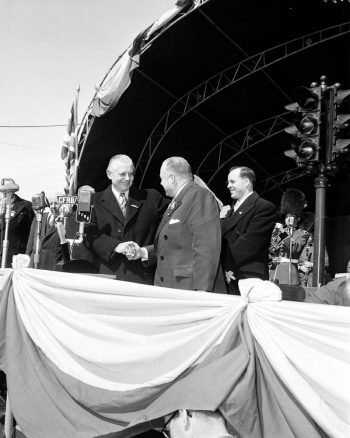 On March 30, 1954, at a ceremony at Davisville station, Toronto Mayor Allan Lamport and Ontario Premier Leslie Frost shared the task of pushing a lever to turn a signal from amber to green, symbolizing the opening of Canada’s first subway line. 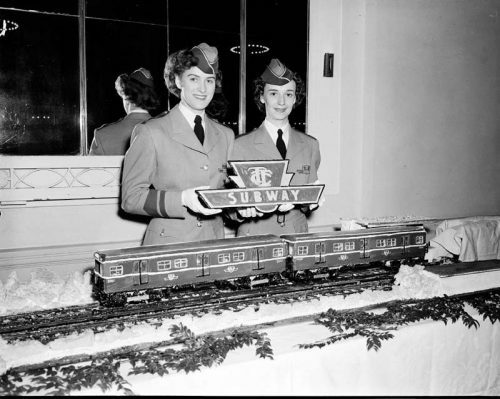 They and a train full of dignitaries and media then took the twelve-minute subway journey from Eglinton station to Union station, where Frost unveiled a plaque to commemorate the event. That afternoon, members of the public got their first chance to ride the subway. 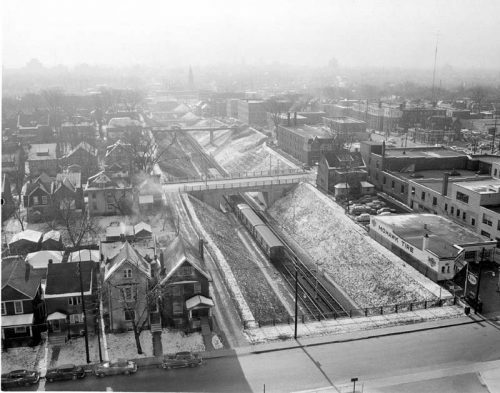 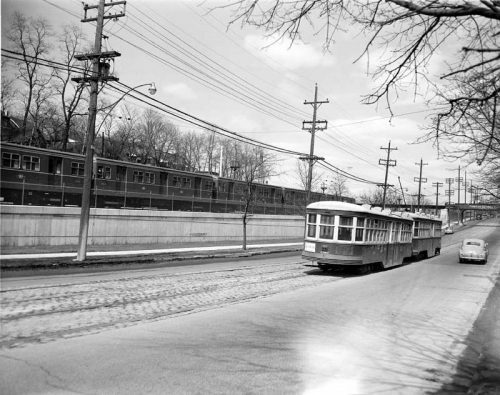 Later in the day, the very last streetcar passed over the old Yonge Street tracks. 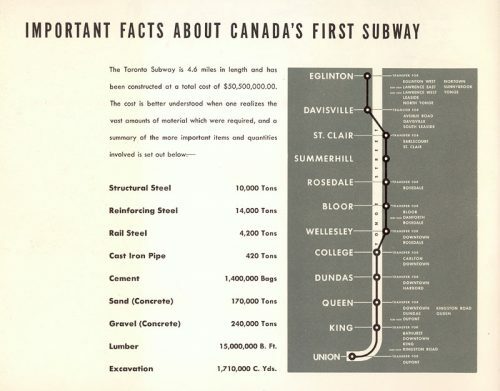 After the ceremony, Ontario Premier Leslie Frost, Toronto Mayor Allan Lamport, and a train full of diginitaries rode the subway north from Davisville to Eglinton station, and then back south to Union station, where Ontario Premier Leslie Frost unveiled a plaque. 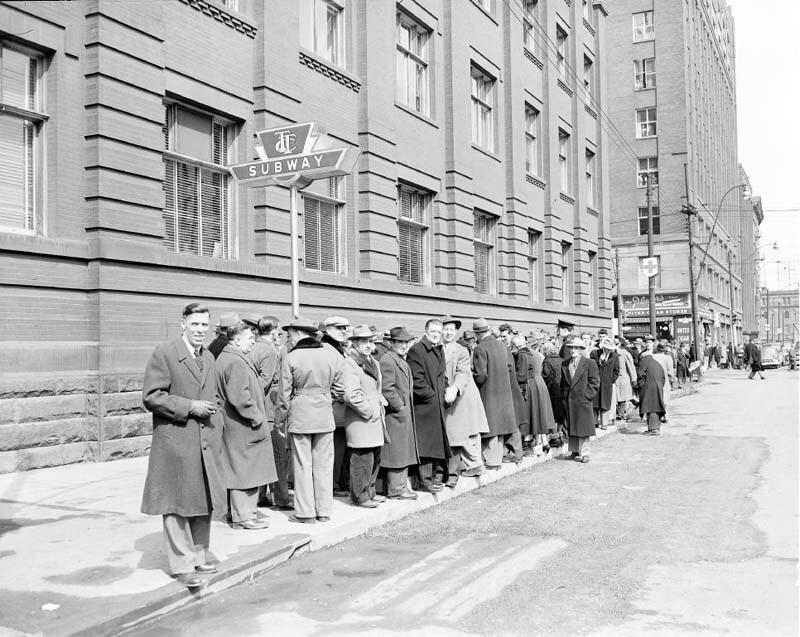 Afterwards, there was a luncheon at the Royal York Hotel. 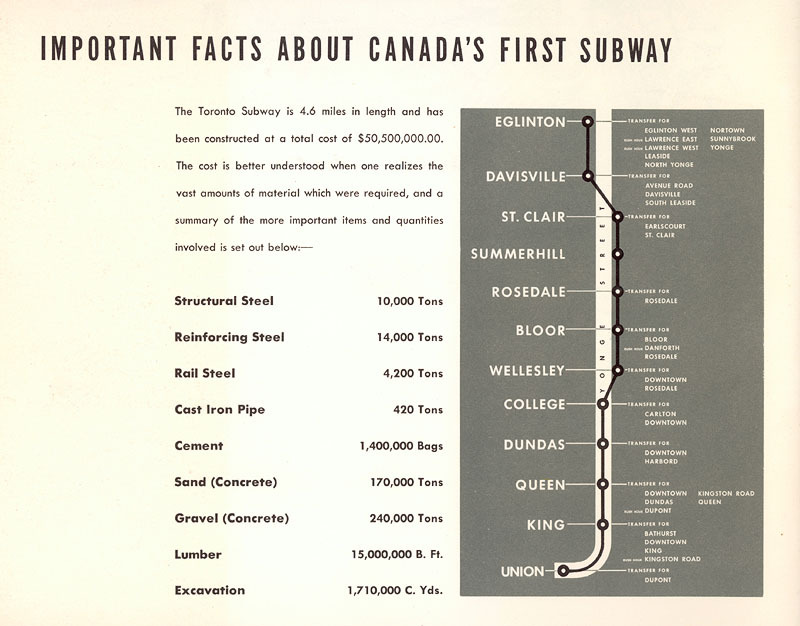 The last Yonge Street streetcar ran the afternoon the subway opened. Members of the public were allowed to use the subway after 1:30 p.m. on opening day, but they had to pay the fare-ten cents cash, or three tickets or tokens for a quarter. 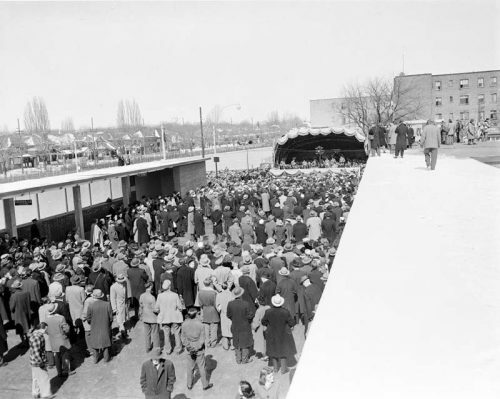 Over 200,000 people rode the subway that day.